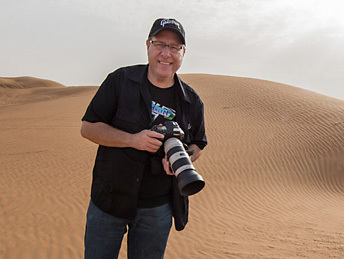 Scott Kelby’s Worldwide Photo Walk Day is back at it again this year, engaging thousands of photographers around the globe in pursuit of adventure and local photo ops. Before venturing out, you’ll need to pick your gadget of choice. One thing you may not know is that your phone is actually just as powerful as some DSLRs out on the market—especially when you leverage the RAW capture ability of Lightroom mobile’s camera. Have I piqued your interest? Keep reading. Many of you might already be using Lightroom to sort and fine-tune your photos, but with the latest update of Lightroom CC , you can leverage the cloud and all its syncing magic. One of the most exciting things about Lightroom CC is that it offers syncing across devices—web, mobile, and desktop—so you don’t need to worry about managing or backing up your files. It also offers guided editing, preset syncing across devices, smart keyword searching, long exposure control, and easy sharing capabilities, to name a few features. Don’t forget to prep your phone when putting together your photography kit this year! The Lightroom mobile camera is one of the best features of this powerful mobile editing suite. Alongside the ability to capture in RAW, it also has exposure compensation, shutter speed, ISO, and white balance tools right where you want them most: in the camera. Annoyed with your mobile camera AE lock? Manual control of your focal plane means never having to struggle with subjects that are too small for your fingers to tap. Perspective grids and custom image ratios make sure that your photos are precisely composed to exactly your vision, while highlight clipping helps keep your exposure in check while shooting via the screen under bright daylight conditions. Don’t let the desktop define you, edit where you are. Do you have a look and feel you have developed for your editing style? On the go access to your Lightroom presets means you don’t have to wait until you are home to throw up that fresh set. As with Lightroom Classic, edits are nondestructive, saved, and can always be reverted to your original if you go too far. Bringing along your DSLR but still want to tap the power of field editing? With an SD card reader that adapts to your tablet or mobile phone, you can import your photos into Lightroom’s mobile client, organize into albums, tag, export full-resolution images, and share directly to the social platforms you choose via OS sharing tools. Want to share but not on social media? Try the Lightroom web sharing option to create a web gallery with optional file downloads that you can send to clients, family, friends, or post online. The flexibility of being able to edit wherever you are, on whatever device you’re on, brings tons of value to photo trips or *ahem* Worldwide Photo Walks. You don’t need to limit your editing time by location, meaning your productivity skyrockets. If you have a favorite camera to use, imagine being able to edit those photos while out in the field. As well, for you phone photographers out there, if you shoot through the Lightroom mobile app, you can capture incredibly high-quality photos to immediately use then and there. To take your photography beyond the camera, try out Adobe Capture CC , a multi-purpose app that translates your images into usable type, vector shapes, patterns, 3D materials, color themes, and brushes. If you’ve always wanted to try transforming your images with graphics, Adobe Capture gives you the tools to play. Create assets right from the camera in Capture, or import from your Lightroom catalog. The Patterns module allows you to turn your camera into a kaleidoscope, giving you multiple ways of tessellating what your camera sees. Or you can create seamless tiling patterns for use as backgrounds, composite resources, or design elements. Another interesting feature for photographers is the Shapes module, which turns your phone’s camera into a vector graphic-making machine. This gives you the power to create infinitely scalable graphics out of regular photos, to use as logos, illustrations, animations, and more. The assets you create in Capture are available immediately via Creative Cloud Libraries on compatible desktop and mobile apps. Snap a shape, and immediately find it in your CC Libraries panel in Photoshop and Illustrator. Generate a color palette in the Colors module to immediately use it in InDesign, After Effects, and more. Find your assets in the Creative Cloud Libraries panel on desktop, or in the associated asset panel in mobile apps. Want to share your asset wealth with others? Share right from in the Capture app, or on the web with Creative Cloud Libraries. If you’d like to learn more about Adobe Lightroom CC and Capture CC, check out the resources below before going on your next trip for Worldwide Photo Walk Day! Pollyanna Macchiano is a mobile app enthusiast and design program manager at Adobe who thrives on being involved in the arts: writing, doodling, and general nerdiness included. Powered by green tea and mochi.